So I’m guessing that if your a huge UFC fan like me, then your always trying to find out how much are UFC tickets? Then of course you need to find out – where can you book yourself UFC tickets? So today I will be breaking down the up an coming UFC On Fox 24: Johnson vs Reis event coming up on April 15th 2017 in the Sprint Center, in Kansas City, Missouri, USA. So you get everything here – a break down of the fights, and the best place to make a booking for a ticket to attend this UFC On Fox 24 event on April 15th. Will this be your first UFC event you’ve attended? Well if that’s the case then you are in for a truly special treat, because there is no doubt that April 15th in Kansas City is going to be an amazing night of action for those popping their UFC event cherry, or for the gruff veteran attendees alike. We will all be watching one of the best UFC on Fox cards ever put together, which will be topped with one of the most dominant ever champions in action, as the legendary undisputed Flyweight champion Demetrious “Mighty Mouse” Johnson takes on the crafty Brazilian top contender Wilson Reis, in one of the few fresh match ups for the seemingly unbeatable champion DJ. Well I’m so glad this bout was just announced to be the new main event of this card, because as i said at the top Demetrious “Mighty Mouse” Johnson will be taking on Top contender Wilson Reis, and DJ will be gunning to beat Anderson Silva’s famous title defence record. Don’t think that this is a mismatch either, because as good as DJ is, Wilson Reis is no joke, he is a Brazilian Jiu-Jitsu black belt, he is very strong for his size, he has good wrestling, he hits hard, and he is a solid veteran with plenty of cage experience – should be an amazing main event, but don’t surprised if this one goes to the judges! In the co main event, we have what we thought was the original main event, as we bear witness to “The Karate Hottie” Michelle Waterson vs “Thug” Rose Namajunas. This is one of the many very important fights on this card, because a win for either woman will very likely result in a title shot against Strwaeight champion Joanna Jedrzejczyk. I expect that Waterson will have the experience and skill edge here, but Rose has the size advantage on her side, as she should be noticeably taller, and longer as well as the fact that Rose has great creativity – what a co main! Jacare Souza vs. Robert Whittaker…..I mean seriously on a Fox card? This is a pay per view type of fight to me, just like the fights above it. Also just like Waterson vs Namajunas, Souza vs Whittaker has some major title implications, as an impressive finish for either competitor could fast track them to a title shot. Styles make fights as we all know – and seeing the most dominant Jiu-Jitsu artist at 185 in Jacare Souza take on one of the best up and coming stars at 185 in Robert Whittaker, who has some devastating striking skill and power, is a real treat. Roy Nelson vs. Alexander Volkov is a true heavyweight bout that many are fired up to see – many people believe that Volkov could maybe be the first ever Russian UFC champion in the UFC since Khabib Nurmagomedov seems to have miss his chance at the moment. So if Volkov can KO the tough veteran Roy Nelson impressively, then a title eliminator bout will be soon on the horizon. However beating “Big Country” is never an easy proposition, as he stands as one of the best gatekeepers to the top 10, so make sure you don’t miss this fight! Tim Elliot vs. Louis Smolka is a great fight between two top 15 flyweights, both of them are such skilled all rounders, and as is common for the wight class, this will likely be full of scrambles, reversals, slams, and striking galore for 3 rounds. Smolka is really in need of a good win in the UFC after losing his past 2, but against the super versatile Tim Elliot that is not going to be easy! Whoever wins this is going to be an awesome fight! Then on top of these great fights we also have: Devin Clark vs. Jake Collier, Anthony Smith vs. Andrew Sanchez, Nathan Coy vs. Zak Cummings, Tom Duquesnoy vs. Patrick Williams and maybe even one more fight to be added to the card in the coming weeks this is truly one of the best UFC on Fox cards ever assembled! 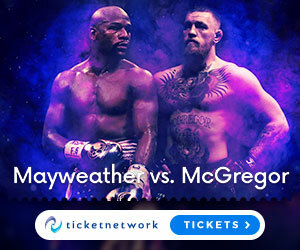 Ok so now I’m done with blabbing on about he fights, so now lets get into the details of the tickets so we can go and see this awesome event – so as i have said many times before every UFC event has its own pricing list, so the costs do vary a lot from event to event. Obviously it always depends on where you want to sit in the arena, and also how close to cage side you want to be. For this UFC On Fox 24: Johnson vs Reis event on April 15th 2017 at the Sprint Center, in Kansas City, Missouri, ticket prices range from $65-$561.00 (USD). You can check out the whole range of seating plans and ticket prices right here on this website. Surely by now you can see that this UFC On Fox 24: Johnson vs Reis event on April 15th 2017 at the Sprint Center, in Kansas City, Missouri is going to be an electric night. I don’t care what Dorothy in Wizard of Oz says we are totally in Kansas on April 15th, because there are no golden roads that will distract me from getting to this event! For all you UFC event veterans out there, you obviously don’t need me to sell you on this card, and really at this point your probably bored of reading my breakdown of this card and your ready to look at the seating plans and get booking. Well if that’s the case then you better get booking right HERE and Now. Remember at MMAgateway you can always find out How much are UFC tickets, at any time you like by checking out the events/tickets list. I hope you enjoyed this breakdown of the upcoming UFC on Fox 24 event, and how to get your tickets. Maybe we will bump into each other and grab a beer on April 15th in Kansas City! I have never attended a UFC event. I live close to Kansas City and might have to take my boys. I know they would love to go. How early should we arrive? Does it get crowded pretty early? What are some tips you can give me since I am a newbie? I suggest you get there at around 2pm time, as you will want some time to go around all the mini events in teh arena and get food before the card kicks of at around 4pm. I would say that first off make sure that if you drive you have pre-booked parking, or if you are using buses or trains then make sure its a an earlier one to cover for any delays – trust me the amount of times a friend of mine has been late for the card or missed the card entirely purely because of being caught in traffic, getting delayed on a later train/flight/bus, or forgetting about pre-booking parking is a lot. Other then that just make sure your ready to be blown away with excitement in the stands – the closer you get to the octagon in terms of seating, then the more of a deep experience you will have because you can literally touch the fighters as they come out, and literally feel vibrations from the action in the cage as you get closer. Drop me an email when your in the sprint centre and i could show you around 🙂 but if i don’t hear from you then just enjoy a great night of entertainment! Wow Marley. I had no idea there was so much going on with UFC. You site is very well put together. You cover a lot of information but it is done so well that I did not feel like I was over burdened at all. You use of various media elements also added to the relevance and made the site that much more interesting. Keep up the good work. Great Page.